Every year people rush around to get a new calendar and planner. I am one of those people that still needs to see what is on the schedule after writing it down, so I search hard to find a planner that works for me. I am excited to introduce you to a company that not only lets you personalize your planner but gets it to you quick! Personal-Planner is that company! Personal-Planner.com was born when the founder and creator's wife was looking for a planner to keep track of her studies. She complained to him, "There's only boring planners out there!" Having worked in the graphic design industry for 10 years and developing his own inventions in spare time, the challenge was too great to resist. After teaming up with a few friends he was able to start the company can can fulfill wishes for awesome planners, just like mine! This is probably my favorite planner I have ever used. Ever December/January I try to find a planner that fits me perfectly. I go through the search in just about every store I am at, and always settle on a planner that I am just not happy with. Its either too big, not set up right, or just plain ugly. Just like most people, bright colors speak to me! When you order a planner from Personal-Planner.com, you are also able to make it your own! Pick a generic cover, or send in your own picture! It worked great for me that I got to choose a front cover and a back. I have two pictures that mean so much and are the cutest of my little family. I'm sure you've seen them in other posts as I use them for personalized products a lot. Who could blame me? They're precious! This planner is set to come back to you as well! With the front page saying your name and how to reach you, if you lose your planner ideally you would get it back! You can design the planner to fit you perfectly. There are size options as well as the type of cover you'd like. You can pick the banner you put on top and then the color of elastic that you'd like to have! I love how customization this planner is! If you are one of those people out there like me that needs to physically write something down and hold your planner in your hands, look up Personal-Planner.com! I couldn't express any more on how much I love my planner! I will be a repeat customer, for sure! Disclosure: A special thank you to Personal-Planner for giving Sweet Cheeks and Savings this opportunity to work with them. We received these items free of charge from Personal-Planner. No monetary compensation was received or offered, nor were we under any obligation to write about this product. All opinions expressed are honest thoughts. We were not offering any sales or taking orders for this item. We will not receive any compensation in connection with any sales of this item. I've always stayed organized with a planner and I think that even in today's technological times, it's still necessary. I need to see my schedule in writing, too. A lot of people don't get it, but I like to see my week at a glance. These planners are awesome. 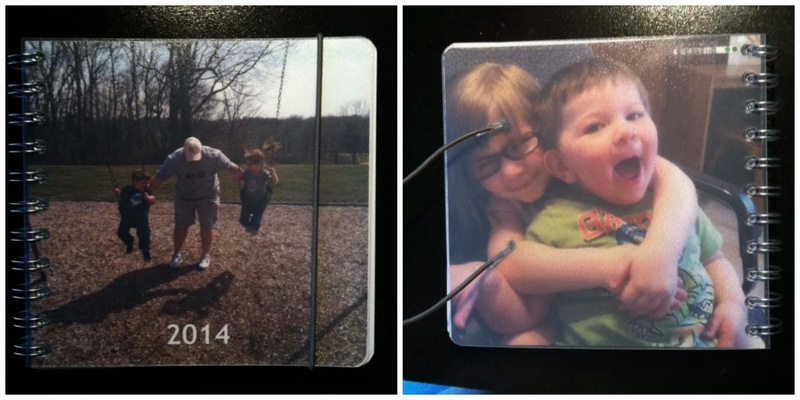 Who wouldn't want one personalized with their own picture on it? We sync our Google calendars together hubby and I. It's connected to our phones that way and we share it with one another so when I am at the dr office and he's some place else I can put in the dr appointment and he get's it right there. We needed something beyond paper and pen. I do love the cover is able to be what ever you want it to be so it's personal. After all what's the point of having a personal planner if it can't be personalized. We sync our Outlook calendars, but that's about it. Never can be too organized! I like paper planners too. Sometimes you just need to see things written down for it all to sink in. I have trouble with online calendars and feeling the reality of just how busy and managed my time is. I need to get more organized this seems like a great place to start with a planner. Glad you found one that works for you. It does feel good to work with something that has been customized for your taste. I've good paperless for sometime now so it's mostly been Google Calendar for me. I prefer a planner like this. Somehow if it written down it is more real to me. I have tried electronic ones and they totally fail for me. I love having planners because they serve a multi-purpose. We record what we must do and we can reference it when we write too. I am a total planner addict. I need more than one because I use them for different things. This would be great for my blog planning!